The renovation of the first floor of the Yamins and Rose Buildings creates a new workplace for the Department of General Medicine. 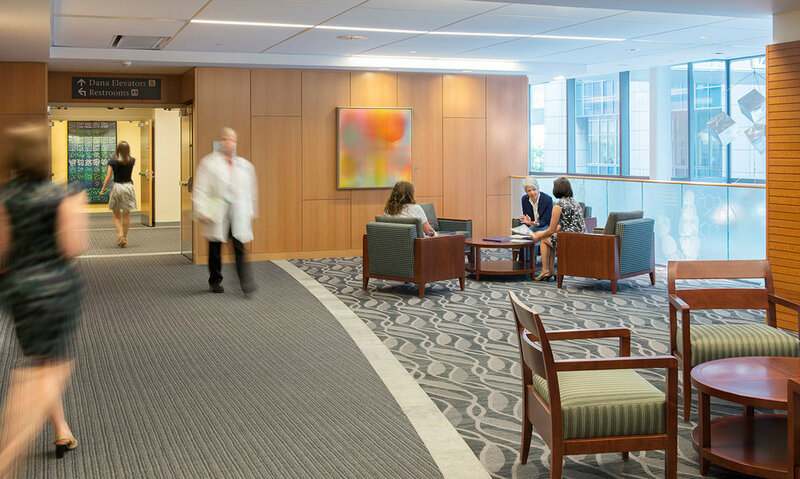 This project contributes to BIDMC’s transition to a more collaborative model for its research and clinical workplaces. It introduces a new, open office environment to enhance operations, space utilization and staff satisfaction. The workplace strategy includes a mix of private and shared work spaces, complemented by conference spaces. The 3,800 sf project was designed and is being constructed in two phases.